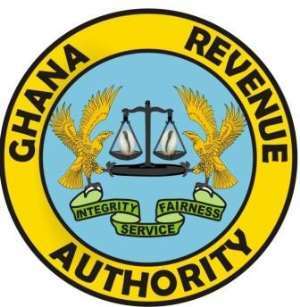 The Customs Division of the Ghana Revenue Authority (GRA) in the Sekondi-Takoradi Metropolis has warned automobile smugglers to desist from the act or face the full rigours of the law. This comes after the continues Authority has continuously impounding smuggled vehicles by the division since January this year. In the last three months, 25 automobiles were impounded in the metropolis raising several concerns about the credibility of the process. Checks revealed that the impounded vehicle identification numbers were tampered with or had documents faked. Sector commander of the Takoradi Customs Division, Francis Tanlogo in an interview with Class FM has vowed to deal with the automobile smugglers in accordance with the customs Act 2005, Act 891. According to him, the division together with the Authority will not hesitate to apprehend and punish offenders who engage in the act. "We have what we call offenses and penalties. Section 121, subsection 1 says a person who contravenes a provision of this Act for which a specific punishment or penalty is not provided, commits an offense and is liable on summary conviction to a fine of not more than 2,500 penalty units or to a term of imprisonment of not more than 5 years or to both," he stated. He continued, “Then subsection 5 of section 121 says that where a contravention of this act has occurred in respect of which the conveyance is liable to the operator, the Commissioner-General may impose an administrative penalty of not more than 3,500 penalty units." Meanwhile, GRA has urged the general public to ensure they do due diligence before going ahead to purchase a vehicle from any car dealer.